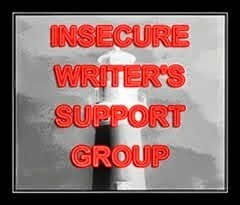 The IWSG is an online writer's group. We post about our writing and our insecurities every first Wednesday of the month. Check us out here! Thanks to our co-hosts for September: Julie Flanders, Murees Dupé, Dolorah at Book Lover, Christine Rains, and Heather Gardner! Somewhere in August, I had this intense burst of inspiration and wrote a 150-page long story in a very short amount of time. Too bad it's a fan fiction, so rife with Mary Sues and the fruits of too much time Google-Stalking certain movie stars that it'll never see the light of day beyond my two best friends. But still, it's fun, comfort writing. And it taught me something (as writing anything does): that letting loose while writing, not being too rigid, is the best way to write. It's the fun way. It reminds you why you like to spend vast amounts of time in worlds you make up with people you make up (well, unless you're writing a fanfic, that is). So now, I'm getting back into the folds of my novel. And I've realized that I paused it several times now because I was being so rigid about how it needed to go and where it needed to go and what I wanted to convey. So here we go, novel. I'll let you breathe and I'll let you lead. I'm half a pantser (that is, I do have a plan for this novel), but it's the getting there that's the problem. So, time to make like Elsa and let it go. It's a bit shorter than 150 now 'cause I've edited it down, but it came really quickly. I wish pages for the novel would come that quickly, but nope. Your comment thingy doesn't work for me, so I have to tag onto Krystal's comment. But yes, so excited to hear you're going back tot he novel. It's so intriguing you have to finish it! Thanks! I hope I can really get into it this time! Yeah, I wish it was for the novel, but I'll take pages and creative bursts where I can get them. I love it. Writing fanfiction teaches great lessons, and many of them apply to OF. 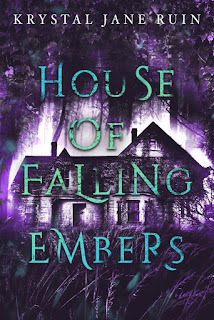 Writing fan fiction really does teach lessons--particularly on characterization, I think. Thank you Anna! I hope so. Writing something just for the joy of writing it can be loads of fun. And as you say, you learn something about yourself. Good luck with the real work. It was definitely loads of fun--and it's fun to get my friends reactions to the story as they're reading it. I'm impressed! "Comfort writing" -- I'm going to remember that. I've been a little cranky lately, probably because I've been working on revisions and research, and not just cutting loose. Lol. Well, I was cranky too because I just didn't want to work on the novel...I'm not really sure what it is about it that bothers me so much. Which is when comfort writing is much more appealing. What a great way to describe writing for fun. Sort of like mac & cheese for the writer's soul. I think we all need it once in a while, right? I think there's merit in fanfic. It's a good way to build up technical and creative skills. It's good to have comfort writing time sometimes. I have whole books I've written that will never see the light of day either, just because they are things I wrote to work out an issue in my mind. Writing is writing. Writing is writing--and it's a cumulative kind of thing, isn't it? Great post and great conclusion. A wonderful reminder me as well as I try to dive back into my novel. 150 pages is impressive no matter what it is. Love this way of putting it! I often hum that song under my breath when I'm getting stressed about things, which never helps, does it? Good luck with writing wherever your road may lead!